Does United’s Biofuel Purchase From AltAir Fuels Make a Difference? Biofuels are another one of the hot topics in aviation right now which makes sense since fuel has become one of the biggest costs for airlines to operate. The problem is that they are too expensive to refine, and they just aren’t processed in the quantities that make it cost-effective for the airlines. That being said, strides are being made in biofuels, and while they may never replace petroleum-based diesel fuel, their development can make a huge difference across the industry. As evidence of this, United Airlines just signed an agreement to buy 15 million gallons of biofuel from AltAir Fuels. The fuel will be used on flights out of LAX starting in 2014 and is expected to create a 50% reduction in greenhouse gas emissions. While 15 million gallons is a drop in the bucket for United, it is certainly a large drop. What may be the most interesting aspect of the purchase agreement is that they will be buying the fuel at a price that is competitive with traditional jet fuel. If airlines are able to purchase these fuels at a competitive price, while reducing emissions, and getting to say they are environmentally friendly, then why wouldn’t they? One of the other great things about this purchase is that AltAir is taking over an idle area of a diesel refinery. So now that area can get retrofitted and provide a valuable resource to the aviation industry. Do you think biofuels provide a legitimate alternative to traditional jet fuels, or is it just not possible to produce them in the quantities necessary to support the industry? Does this purchase by United mean anything in the grand scheme of things, or is it just a small drop in the bucket? On January 16th of this year all 50 of the delivered Boeing 787 Dreamliners was grounded by the FAA and other regulators due to a couple of battery fires that occurred within days of each other. After much drama, and a ridiculous amount of work by engineers from Boeing and their partners, all of the Dreamliners have been retrofitted with the necessary repairs, and all of the airlines have officially put them back in service. Just to give you an idea of what’s going on, below you will find a list of the airlines currently operating the 787 and when they went back into service. Ethiopian was the first airline to put the 787 back into service after a little more than three months. 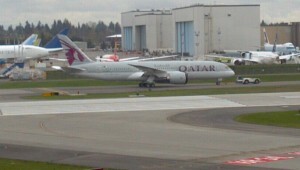 Qatar Airways provides the only 787 service to England currently. Qatar Airways was the first, and currently the only, carrier to offer service on the 787 to England, but with Thomson Air receiving their first 787 over the weekend, and British Airways having their first three come off the line recently, it will have some competition soon in England. Air India resumed domestic service May 15 and followed that up with international service on May 22. United is the first US based carrier to take delivery of the 787. Airchive.com wrote a great piece about the United return to service including lots of good background information and tons of pictures. ANA was the launch customer for the 787, currently has the most delivered, and also has the most on order. They obviously have a lot on the line with the 787 and are probably more happy than anyone to have them back in the air. You can find the full description of where and when they will be back in service on their website. LAN was the only airline that I couldn’t find a specific release saying they had returned to service, but they did finish certification on May 15, and announced they would resume on June 1 so I see no reason why it would not have happened. 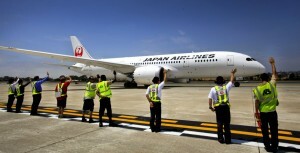 JAL was one of four airlines to resume service June 1. However, they experienced some sort of issue with an air pressure sensor in the battery area the very next day. It appears to be a minor problem that will be easily fixed. Let’s hope for Boeing’s sake that it is just a small issue with no real repercussions. 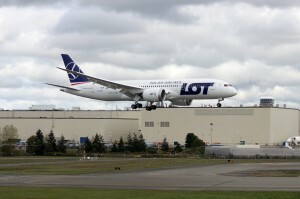 LOT resumed service with their flight between Warsaw and JFK. They also just took delivery of their third 787, LN 86 which was one of the aircraft that did a ton of work getting the 787 fix certified as well as numerous other tests while the 787 was grounded. It is great to see all of these airlines back in service, as well as two new airlines that received their first 787s this last week. Thomson Airlines actually took delivery of their first two 787s which are set to start service July 8, and China Southern Airlines received their first 787 that they plan to put into service June 6. About a month and a half ago I wrote about a new baggage delivery service that was going to be offered by United Airlines at selected locations. Well apparently it has been pretty successful because United is expanding this offering to 30 new cities. According to the press release below, the airline intends to expand the service to all of their destinations, but for now it covers about 80% of their domestic airports. It is great to see airlines come up with simple, effective, and worthwhile offerings that can turn a profit, and provide a good service for the customer. Options like this will become increasingly important for airlines that want to turn a profit. What kind of other simple options would you like to see airlines offer? CHICAGO, Feb. 27, 2013 /PRNewswire/ — United Airlines has expanded its new baggage delivery option, enabling customers to skip baggage claim upon arrival and have their checked bags delivered directly to their final destinations – within 100 miles of their arrival airports. The airline plans to expand the service to more than 190 domestic airports. Delivery is available up to a 100-mile radius for an additional charge that varies by distance. Delivery pricing is in addition to any standard checked-bag charges that might otherwise apply. Customers can order the service online, or by calling 1-877-847-0045. Separately, United has begun offering Premier Access benefits for customers interested in speeding their way through the airports. Customers may now purchase, where available, access to expedited check-in and security checkpoint lanes along with priority boarding, for prices beginning at $9 per segment. United limits the number of customers who may purchase Premier Access benefits to ensure the benefits are available to the airline’s premier-level frequent flyers and eligible United MileagePlus credit cardmembers including MileagePlus Explorer and Club Visa cardmembers. United Airlines and United Express operate an average of 5,472 flights a day to 381 airports across six continents. In 2012, United and United Express carried more passenger traffic than any other airline in the world and operated nearly two million flights carrying 140 million customers. United is investing in upgrading its onboard products and now offers more flat-bed seats in its premium cabins and more extra-legroom economy-class seating than any airline in North America. In 2013, United became the first U.S.-based international carrier to offer satellite-based Wi-Fi on long-haul overseas routes. The airline also features DIRECTV® on nearly 200 aircraft, offering customers more live television access than any other airline in the world. United operates nearly 700 mainline aircraft and has made large-scale investments in its fleet. In 2013, United will continue to modernize its fleet by taking delivery of more than two dozen new Boeing aircraft. The company expanded its industry-leading global route network in 2012, launching nine new international and 18 new domestic routes. Business Traveler magazine awarded United Best Airline for North American Travel for 2012, and readers of Global Traveler magazine have voted United’s MileagePlus program the best frequent flyer program for nine consecutive years. United is a founding member of Star Alliance, which provides service to 194 countries via 27 member airlines. More than 85,000 United employees reside in every U.S. state and in countries around the world. For more information, visit united.com or follow United on Twitter and Facebook. The common stock of United’s parent, United Continental Holdings, Inc., is traded on the NYSE under the symbol UAL. I have been on a few very long flights over the years, and I always find myself with the same problem, what on earth am I going to do for eight hours in one seat? The first couple of times was before iPods were invented and laptops were something that everyone had. Once I was able to have those the flights were better, but there was still something missing: the internet. Inflight Wi-Fi is becoming relatively commonplace these days using air-to-ground technology that provides varying levels of service. Unfortunately, that technology is not really practical when it comes to flying over the oceans. United Airlines has the answer to that problem by providing satellite-based Wi-Fi internet connectivity. The full press release can be found below. It will be interesting to see how successful this is, and how many other carriers follow suit in the never ending battle of “keeping up with the Jones’s” that is the airline industry. United is certainly going all-in with this move as they plan to have the technology installed on 300 of their mainline aircraft by the end of the year. 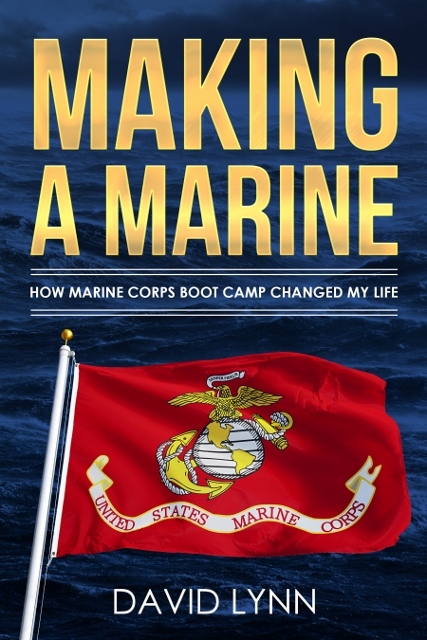 I for one think this is great, and with a starting price of only $3.99 I think it will be wildly popular. The price can go as high as $20 for long haul flights using their Accelerated speed option, but even that isn’t terrible for a long flight. As much as I hate how you have to pay for everything on flights these days I really think this is quite reasonable. The airline is having to invest quite substantially to make this happen, and is asking a very reasonable price for customers to use it. This is also a new service, as opposed to all of the things that we were used to getting for free that we now have to pay for. CHICAGO, Jan. 15, 2013 /PRNewswire/ — United Airlines has introduced onboard satellite-based Wi-Fi internet connectivity on the first of its international widebody aircraft, becoming the first U.S.-based international carrier to offer customers the ability to stay connected while traveling on long-haul overseas routes. The aircraft, a Boeing 747 outfitted with Panasonic Avionics Corporation’s Ku-band satellite technology, serves trans-Atlantic and trans-Pacific routes. Additionally, United has outfitted Ku-band satellite Wi-Fi on two Airbus 319 aircraft serving domestic routes, offering customers faster inflight Internet service than air-to-ground technology (ATG). The company expects to complete installation of satellite-based Wi-Fi on 300 mainline aircraft by the end of this year. Customers have the choice of two speeds: Standard, priced initially between $3.99 and $14.99 depending on the duration of flight, and Accelerated, priced initially between $5.99 and $19.99 and offering faster download speeds than Standard. United will install satellite-based Wi-Fi on Airbus 319 and 320 aircraft, and on Boeing 737, 747, 757, 767, 777 and 787 aircraft. Customers will be able to use their wireless devices such as laptops, smart phones and tablets onboard those aircraft to connect with internet service using the in-flight hotspot. Offering the world’s largest fleet of aircraft with flat-bed seats, with more than 175 aircraft with 180-degree flat beds in premium cabins once the airline completes the installation in the second quarter. Expanding extra-legroom Economy Plus seating to provide the most such seating of any U.S. carrier. Revamping the transcontinental “p.s.” fleet of airplanes that fly between New York Kennedy and Los Angeles and San Francisco, offering an improved premium cabin with fully flat beds, Wi-Fi Internet service, and personal on-demand entertainment at every seat. Improving inflight entertainment options with streaming video content on the Boeing 747-400 fleet. Retrofitting overhead bins on 152 Airbus aircraft, allowing for significantly greater storage of carry-on baggage. United Airlines and United Express operate an average of 5,557 flights a day to 378 airports on six continents from the airline’s hubs in Chicago, Cleveland, Denver, Guam, Houston, Los Angeles, New York/Newark, San Francisco, Tokyo and Washington, D.C. United is upgrading its cabins with more flat-bed seats in first and business class and more extra-legroom economy-class seating than any other airline in North America. United now has 180 airplanes featuring DIRECTV®, offering customers more live television access than any other airline in the world. United operates nearly 700 mainline aircraft and has orders for more than 270 new aircraft deliveries through 2022. In 2012, United was the first North American airline to take delivery of new Boeing 787 Dreamliner aircraft. United was rated the world’s most admired airline on FORTUNE magazine’s 2012 airline-industry list of the World’s Most Admired Companies. Readers of Global Traveler magazine have voted United’s MileagePlus program the best frequent flyer program for nine consecutive years. United is a founding member of Star Alliance, which provides service to 193 countries via 27 member airlines. More than 85,000 United employees reside in every U.S. state and in countries around the world. For more information, visit united.com or follow United on Twitter and Facebook. The common stock of United’s parent, United Continental Holdings, Inc., is traded on the NYSE under the symbol UAL. 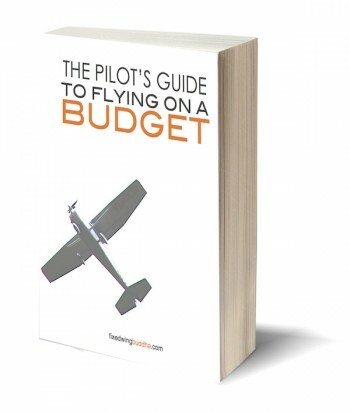 The airline industry is constantly looking for ways to increase revenue. As gas prices go up they are forced to look at every avenue possible to bring in more cash. We have seen pretty much everything that used to be free now only be available at a cost. Meals, snacks, drinks, and baggage charges are common place on most carriers these days. United is now offering a service that is new to the industry but that could save you some time once you arrive at your destination. BagsVIP is their new offering to deliver your bags to your house or hotel so you don’t have to wait around at baggage claim. I could see this being incredibly valuable for all kinds of different travelers. People with kids can help to alleviate their stress a little but walking off the plane and heading straight to their hotel. Business travelers who may be in a rush to get to a meeting can save crucial minutes. While many business travelers don’t usually check bags, this may allow them to do so and not have to be so frugal with their travel amenities. This is one of the more reasonable options that I have seen an airline offer that really provides a nice service. I would not be surprised to see more of the airlines, if not all of them provide a similar service in the very near future. CHICAGO, Jan. 11, 2013 /PRNewswire/ — United Airlines today launched a new baggage delivery option, enabling customers to have their checked bags delivered directly to their final destinations – within 100 miles of their arrival airports – and skip baggage claim upon arrival. Baggage delivery by BagsVIP will initially be available to customers departing from any domestic airport and arriving in Boston, Chicago, Honolulu, Houston, Los Angeles and Orlando. The airline plans to expand the service to more than 190 domestic airports in the coming months. Customers can order the service directly from BagsVIP online, or by calling 1-877-847-0045. United Airlines and United Express operate an average of 5,557 flights a day to 378 airports on six continents from the airline’s hubs in Chicago, Cleveland, Denver, Guam, Houston, Los Angeles, New York/Newark, San Francisco, Tokyo and Washington, D.C. United is upgrading its cabins with more flat-bed seats in first and business class and more extra-legroom economy-class seating than any other airline in North America. United now has 180 airplanes featuring DIRECTV®, offering customers more live television access than any other airline in the world. United operates nearly 700 mainline aircraft and has orders for more than 270 new aircraft deliveries through 2022. In 2012, United was the first North American airline to take delivery of new Boeing 787 Dreamliner aircraft. United was rated the world’s most admired airline on FORTUNE magazine’s 2012 airline-industry list of the World’s Most Admired Companies. Readers of Global Traveler magazine have voted United’s MileagePlus program the best frequent flyer program for eight consecutive years. United is a founding member of Star Alliance, which provides service to 193 countries via 27 member airlines. More than 85,000 United employees reside in every U.S. state and in countries around the world. For more information, visit united.com or follow United on Twitter and Facebook. The common stock of United’s parent, United Continental Holdings, Inc., is traded on the NYSE under the symbol UAL. 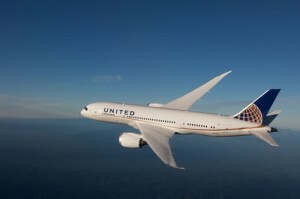 LOS ANGELES, Jan. 2, 2013 /PRNewswire/ — United Airlines will introduce daily nonstop 787 Dreamliner service between its hub at Los Angeles International Airport and its hub at Tokyo Narita International Airport beginning Thursday, Jan. 3. The service – previously operated with a 777 aircraft – is the first regularly-scheduled international route operated using United’s 787 Dreamliner. The flight, UA32, will depart Los Angeles at 11:15 a.m., arriving in Tokyo Narita at 4:10 p.m. the next day. The return flight, UA33, will depart Tokyo Narita daily at 5:55 p.m., arriving in Los Angeles at 10:35 a.m. the same day. United’s 787 Dreamliner is configured with 36 seats in United BusinessFirst, 70 seats in United Economy Plus and 113 seats in United Economy. The aircraft will revolutionize the flying experience for United customers and crews while delivering unprecedented operating efficiency, comfort and lower emissions. Customers on the flights will experience greater comfort with improved lighting, bigger windows, larger overhead bins, lower cabin altitude and enhanced ventilation systems, among other passenger-friendly features. Recent photos and video and a virtual tour of United’s first 787 aircraft are also available for download in the media center on unitedcontinentalholdings.com.